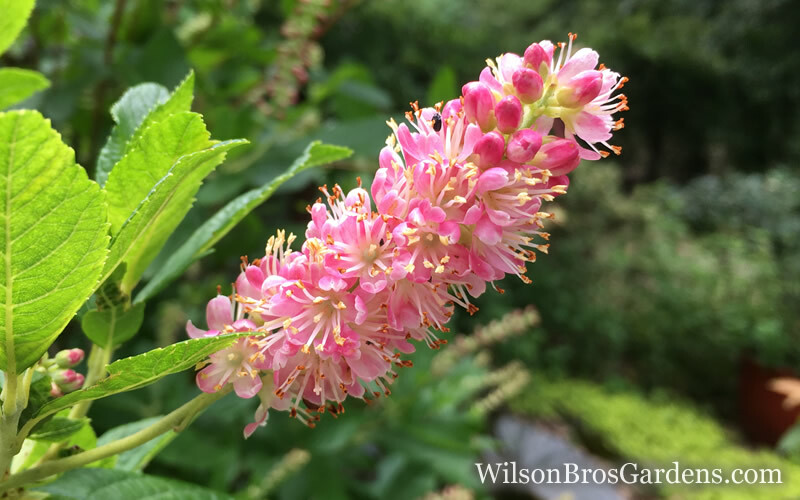 A super-hardy, adaptable and very easy to grow North American native flowering shrub, 'Ruby Spice' Summersweet, also called Sweet Pepperbush, is the darkest pink of all of varieties we've ever seen. 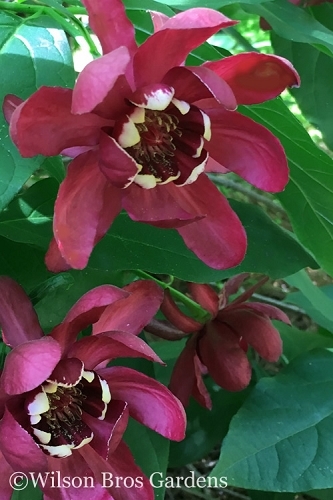 We like the common name Summersweet best because it describes the deliciously fragrant flowers that smell like sweet cotton candy...not pepper! Get all the details below. 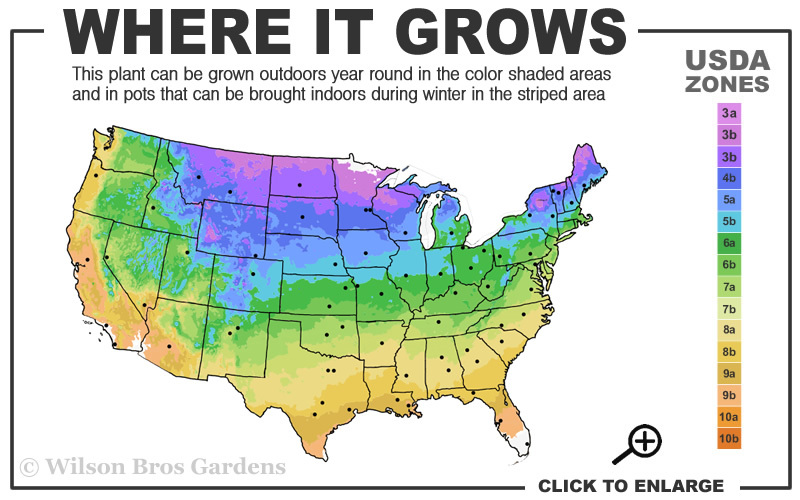 Note: For our customers who live and garden north of USDA Plant Hardiness Zone 3b, where this Clethra is not reliably winter hardy, you'll be happy to know it can be grown in containers that can be brought indoors during winter and placed back outside when temperatures warm up in spring. 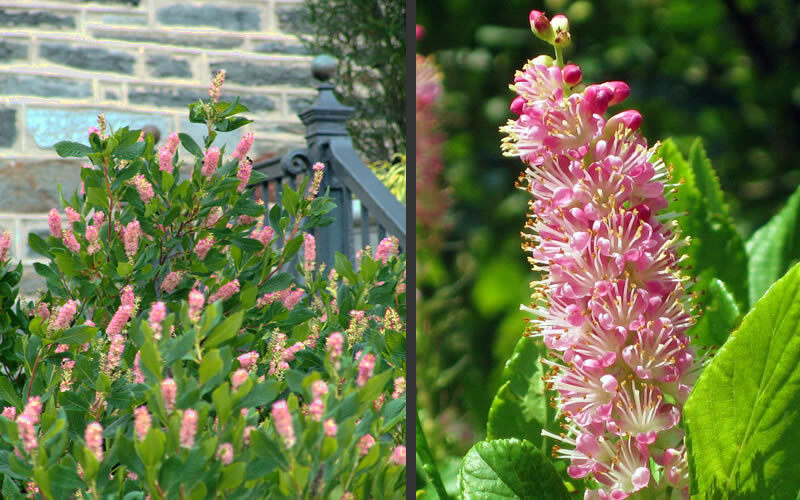 A super-hardy, adaptable and very easy to grow North American native flowering shrub, 'Ruby Spice' Summersweet, also called Sweet Pepperbush, is the darkest pink of all of varieties we've ever seen. We like the common name Summersweet best because it describes the deliciously fragrant flowers that smell like sweet cotton candy...not pepper! In summer, LOADS of bottlebrush-like flowers are irresistible to hummingbirds, butterflies, and other pollinating insects. 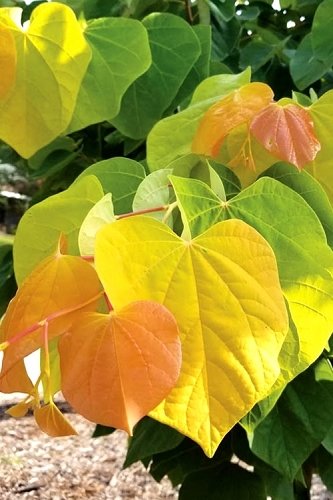 The color show continues in fall when the handsome green foliage ignites into flaming shades of yellow. 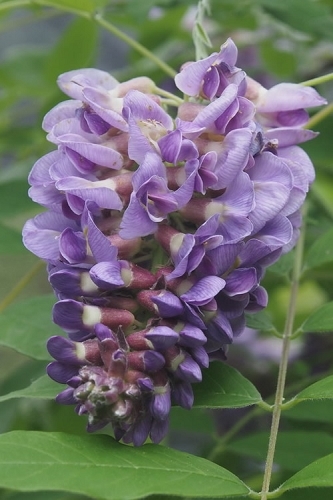 The shrub seldom exceeds 6 feet tall and 3 to 4 feet wide. 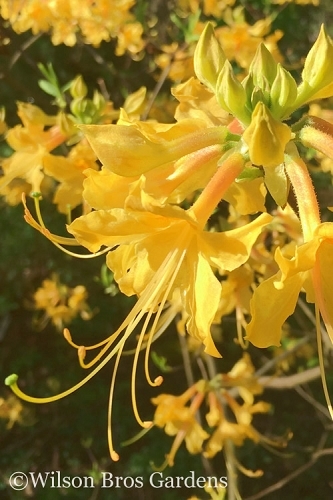 An easy-to-grow, multi-season shrub you will not regret planting...and the hummingbirds and butterflies will thank you for it! Growing upright to about 5 to 6 feet tall and 3 to 4 feet wide, Ruby Spice Clethra is ideal for use as a specimen or in groupings in sunny to partially shaded landscape borders and around patios, decks and other outdoor living spaces where the fragrance, flowers and the hummingbirds and butterflies that visit can be enjoyed. Excellent in garden spots with moisture retentive soil, though adapts to somewhat drier soils. A fine addition to butterfly and hummingbird gardens, pink theme gardens, wildlife gardens, cottage gardens, and fragrance gardens. Ruby Spice Clethra is very easy to grow and grows best in consistently moist, slightly acid soils in sun to part shade however tolerates a range of conditions including shade, wet soil, and salt spray. Exceptionally low maintenance requiring no pruning. Free of any pest and disease problems! 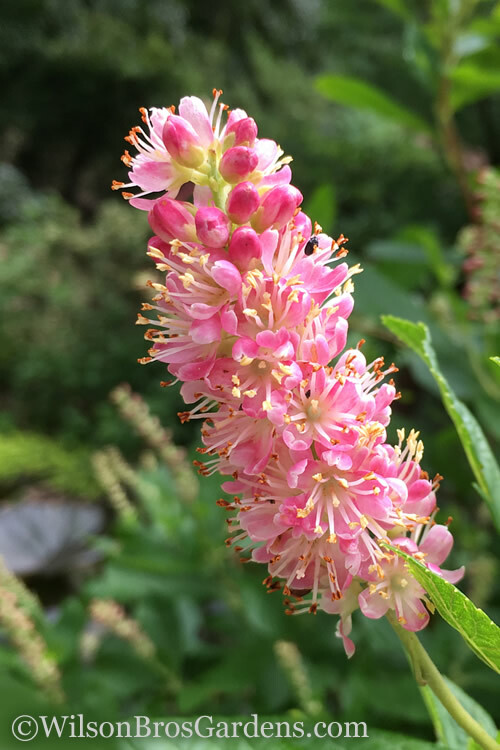 Click on the link below to find helpful advice from our experts on how to plant and care for Clethra Summersweet plants. Fragrant Flowers: Yes, smells like candy! Great service and packaging. I will continue to visit the site and order from them. I had been looking in my area for another ruby spice & couldn't get one. I came across your website and was happy to get one. It came well packed in its container and I was surprised of the size. Can't wait to see it bloom, thanks. 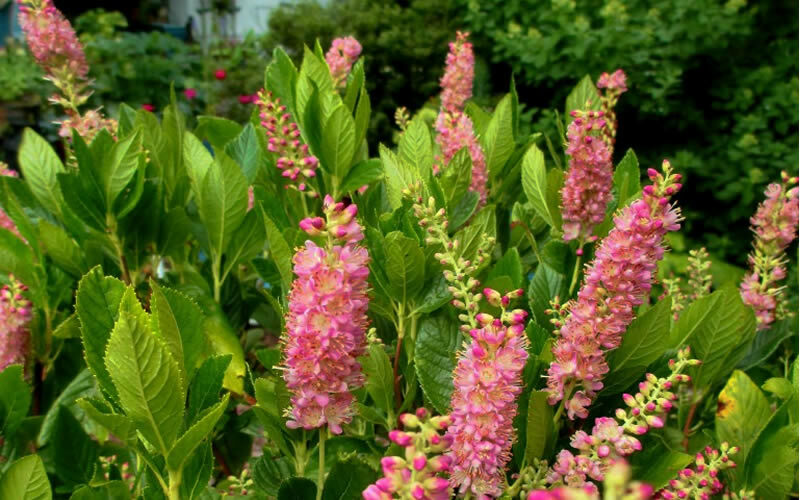 Click on the link below to find helpful advice from our experts on how to plant, prune, fertilize and water Clethra Summersweet plants.